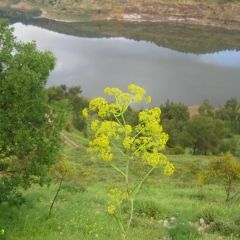 Jordan is a country of contrast, being in the Fertile Crescent, the 4th most important area for Crop Wild Relatives; it is at the same time the second water-poorest country in the world. 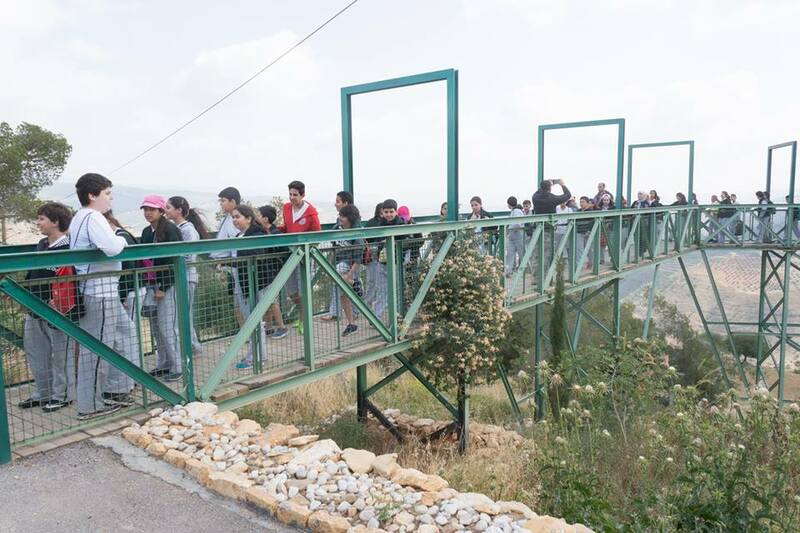 Therefore, Jordan habitats and nature heritage are under threat, disappearing due to urbanization, tourism activities, overgrazing, expansion of agricultural land, and lack of preservation and ecosystem development programmes. As a result, there is an urgent need, in Jordan as at a global level, to safeguard biodiversity. It is imperative to preserve precious plant resources and ensure that they remain available for future generations. 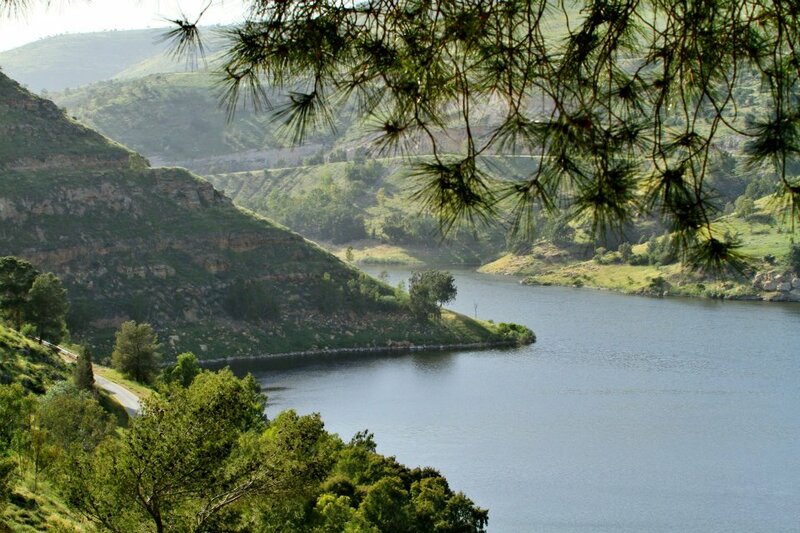 The Royal Botanic Garden (RBG), a member of Med-O-Med since the creation of the Netword of Botanic Gardens, is located in Tal Al-Rumman, about 25 km north of Amman, on 1,800 dunums(180 hectares) of steep slopes beside King Talal dam. 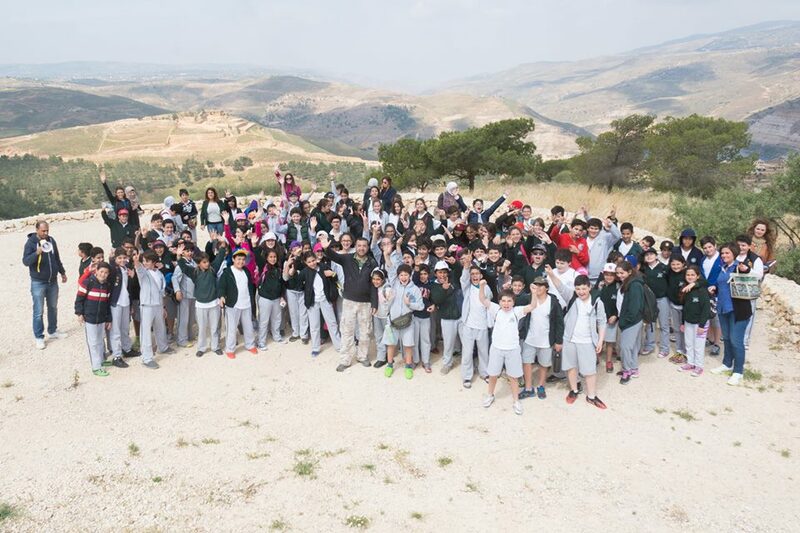 The site includes a wide variety of soils and microclimates, several wadi systems, and over 300 metres of elevation change. 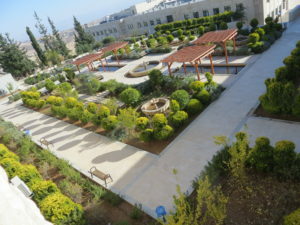 The RBG was founded as a non-governmental, non-profit entity in 2005 in order to conserve the flora and biodiversity of Jordan by propagating and displaying native plants, rehabilitating habitats at the whole-systems level, conducting research, demonstrating sustainable practices, and sharing information. The RBG envisions a future where there is no longer a need for environmental conservation. A future with interdependency between people, plants and ecosystems. A future where every living being has assured a dignified and sustainable life. The RBG works on achieving this aim working in a multi-dimensionally approach in order to fulfil its commitments developing research program, propagate and display native plants, rehabilitate habitats, demonstrate sustainable practices and share information, in partnership with the community. We can highlight three concepts, rehabiliting ecosystems, promoting local partnership, encouraging sustainable living and development. 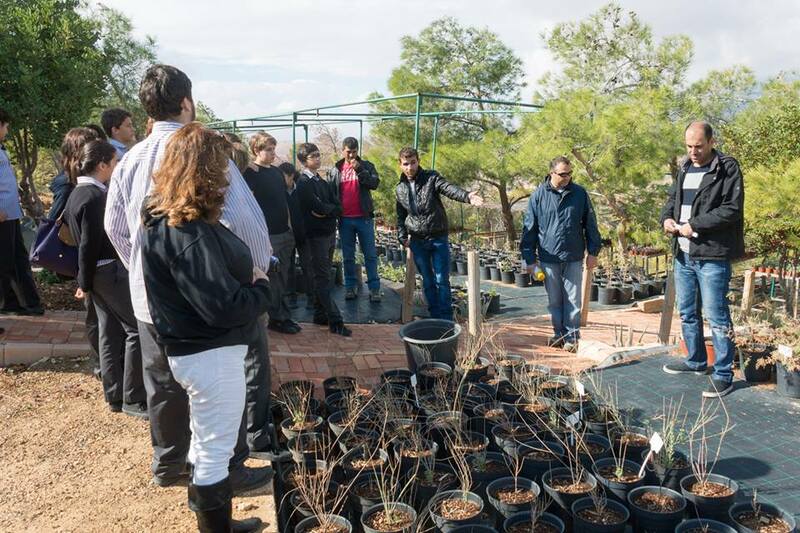 Native plants are being propagated in the RBG’s nursery, to enable the re-creation of authentic Jordanian habitats for research, display and educational purposes. 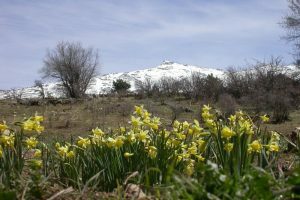 A seed bank is being developed, to save the seeds of Jordan’s native plants and crop wild relatives. At the RBG herbarium, dried specimens of Jordan’s plants are being preserved. High-resolution scans of specimens are also uploaded constituting the region’s first online herbarium. 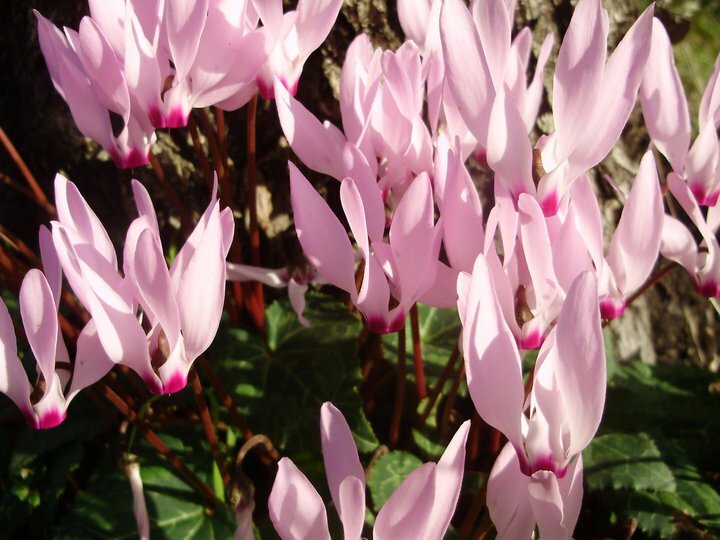 In keeping with good scientific practices, the RBG incorporates in situ and ex situ botanical research into all aspects of its work, and publishes in peer-reviewed journals. The BOT-ERA Project was built upon the RBG’s existing strengths as a high-quality research institution via capacity building activities with Royal Botanic Gardens, Kew, the University of Birmingham, and Innoveo Consulting of Luxembourg. The project was launched in Amman on February 15, 2012. 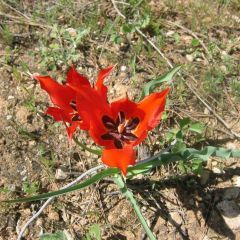 As a result, the RBG is publishing an annotated flora checklist; the Jordan Plant Red List (Vol. 1); Wild Socio Economic Plant Strategy for Jordan. 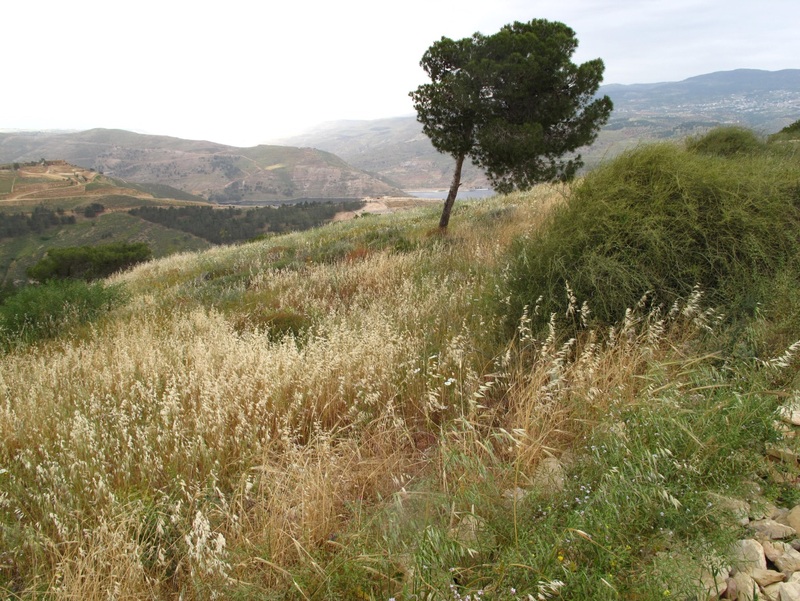 Another publication that will be published soon, under this component, is Biodiversity of Wild Mushrooms in Jordan. Adopting a wide vision of its social and environmental responsibilities for conservation, the RBG works closely with people in the nearby village and region. The RBG consults and cooperates with the community in its work through initiatives like the Community-Based Rangeland Rehabilitation programme, and teaches good practices and sustainable living skills to pastoralists, farmers and families. As a result, local employment rates are on the rise, individual and regional capacities are being built, and value-added products and markets are being developed. The results are already measurable and sustainable. Rangeland throughout Jordan and the region is severely overgrazed and steadily shrinking. Since it is well-documented in other parts of the world that removing grazing from traditionally gazed landscapes often has a negative impact on species diversity, the RBG was interested in adopting a different, collaborative approach. When the RBG first began its work, local herders would cut the fence surrounding the botanic garden so that herds could graze inside the site at night or in the early morning. This was a huge problem, as the RBG needed to be able to restore plant cover, conduct vegetation surveys and make biomass estimates without random interference from animals. After consultative meetings with community representatives, the RBG created the Community-Based Rangeland Rehabilitation (CBRR) programme in 2007. With local participation, a plan was devised to supply replacement forage to livestock owners, in return from them withdrawing their flocks, and allow grazing inside the Garden under managed conditions. The CBRR team collaborated closely with herders, gave practical trainings to the community, and began to establish environmentally friendly community income generating projects. The CBRR initiative was so well received that livestock owners who once grazed the land down to bare earth are now policing themselves and others, to protect the benefits they are reaping from the CBRR and the rapidly reviving ecosystem. Through the CBRR, 42 families and about 5000 head of sheep and goats are currently benefiting from better herd health and management, regulated grazing, and new income generating opportunities. A marked gain in biodiversity was noted, with biomass in the Garden rising from 50 to over 100 tons within four years, and wild plant species recorded in the site increasing from 436 to 580 species.The CBRR team has also started the task of collecting local knowledge from community elders, so that important traditional information, such as uses of wild plants for healing, is not lost. It is an important component of the RBG’s work. 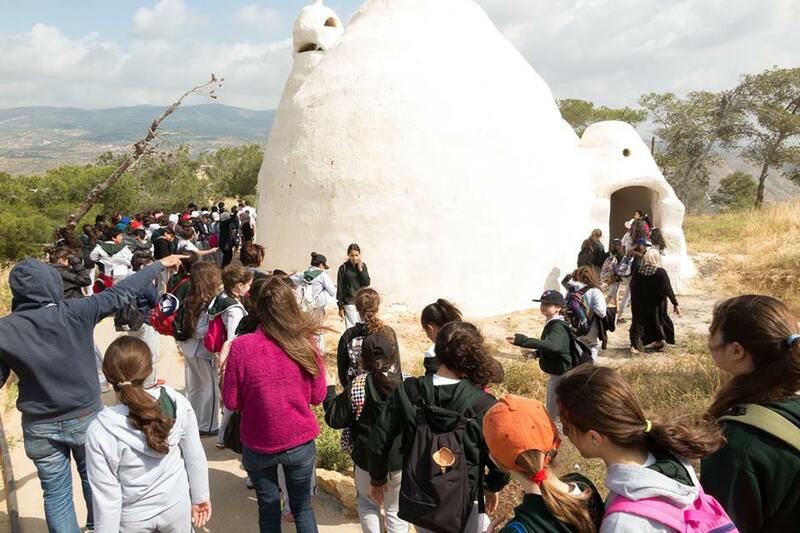 Demonstrations of earth architecture, alternative energy, rainwater harvesting, permaculture and other replicable ways to promote self-reliance are integral parts of the botanic garden. In conjunction with this component, the RBG is playing the lead of 5 mediterianean partners in an EU-funded project called SIDIG-MED. The project aims to promote social and intercultural dialogue through cross-border cooperation in the realm of local Urban and Peri-Urban Agriculture (UPA) related governance issues. The project duration is from November 2013- November, 2015 but it is hoped to be extended till March 2016. Another of the RBG’s goals is to promote the use and, in some cases, the re-discovery of native plants that have socioeconomic uses. 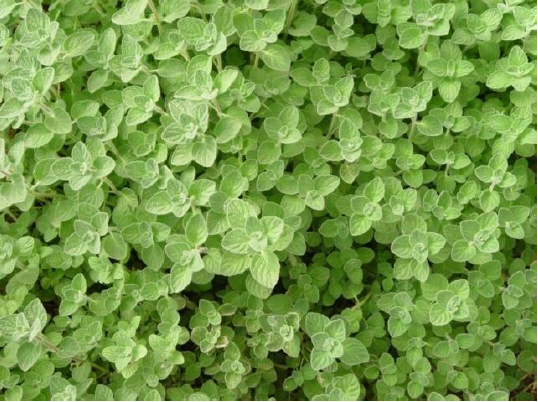 Some plants can be eaten or used as flavourings or natural medicines, while others may produce oil, dyes or fibre. 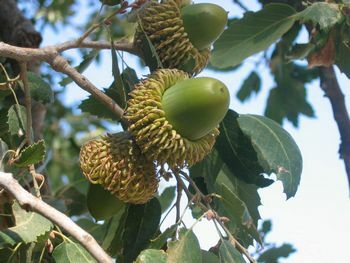 Of particular interest are the Crop Wild Relatives of wheat, barley, beans and other food plants, which are native to Jordan. As a natural heritage, all socio-economically important plants must all be studied, utilized and/or conserved for future research. 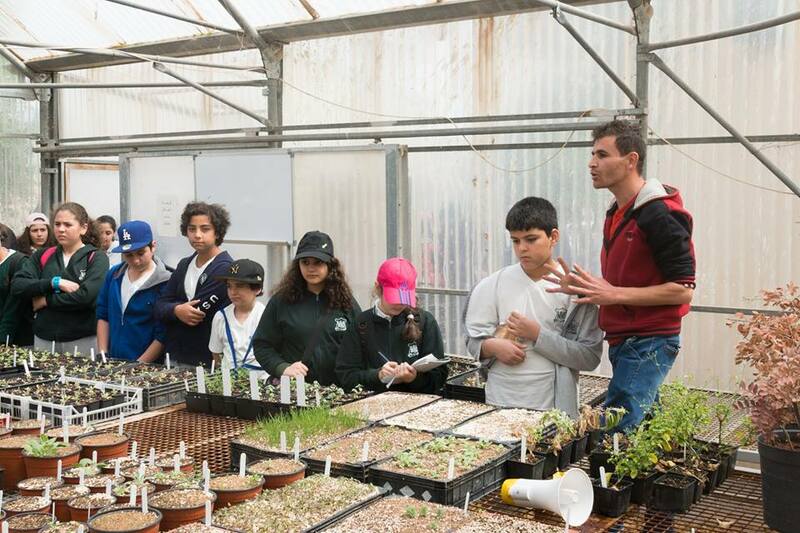 In the course of its work, the RBG is also helping Jordan’s Ministry of Environment reach certain goals in its biodiversity strategy and action plan, to meet national commitments to international treaties such as the Convention on Biological Diversity. 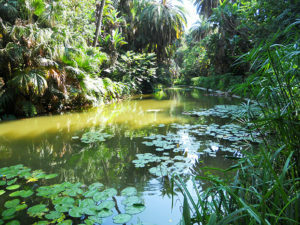 Although the Royal Botanic Garden is still under development, it is expected that Phase I will open to the public in the relatively near future. Since the RBG’s scientific and community programmes are now well established, it is time to focus more on visitor facilities, display gardens, education and ecotourism elements. Plans for the 1,800-dunum site include: a gateway building (ticketing, coffee bar, gift shop), global context building (visitor orientation), visitor centre (exhibition space, auditorium, prayer room), forestry museum, hardscaping (pathways, hiking trails, scenic lookouts), interpretive signage, interactive exhibits, café, refreshment stands, waterfront area (floating café, dock, lifeguard station) and an ecolodge, among other things. Display gardens will follow specific themes while highlighting the practicality of using native xeriscape plants, which are best adapted to Jordan’s arid climate. 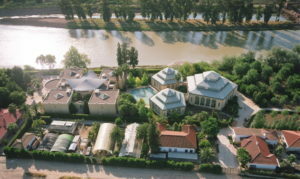 Five complete Jordanian habitats are being re-created on the site which are, Deciduous Oak Forest, Pine Forest Habitat, Juniper Forest Habitat, Riparian Freshwater Habitat and Jordan Valley and Dead Sea Habitat, as well as an Islamic garden will feature plants and designs from different periods of history. Rather than sightseeing, the RBG intends to promote site doing. When people are actively engaged in fun activities outdoors, it is easier for them to connect, or re-connect, with nature. Activities at the RBG may include hiking, rock climbing, rowing, solar cooking, medicinal plant picking, mushroom workshops, festivals, farmers’ markets, etc. The visitor experience will be extended by narratives on the origins of the tulip, the story of the olive tree, or revelation of the secret ingredient in sahlab. Changes in the seasons will also provide ample opportunities for new experiences at the Garden. As the Royal Botanic Garden pursues its biodiversity research and conservation objectives, it is looking forward to opening its doors to the public and becoming a much-visited venue for recreation, environmental education and ecotourism. The Garden’s opening will expand economic opportunities in Jordan. Currently, 25 people are on the RBG staff, 135 direct job placements have been created, and indirect jobs have been generated for 200 families. As the Garden develops, 100s more people will be employed. The projections for prosperity are unlimited. This entry was posted in Botanic Gardens. Bookmark the permalink.